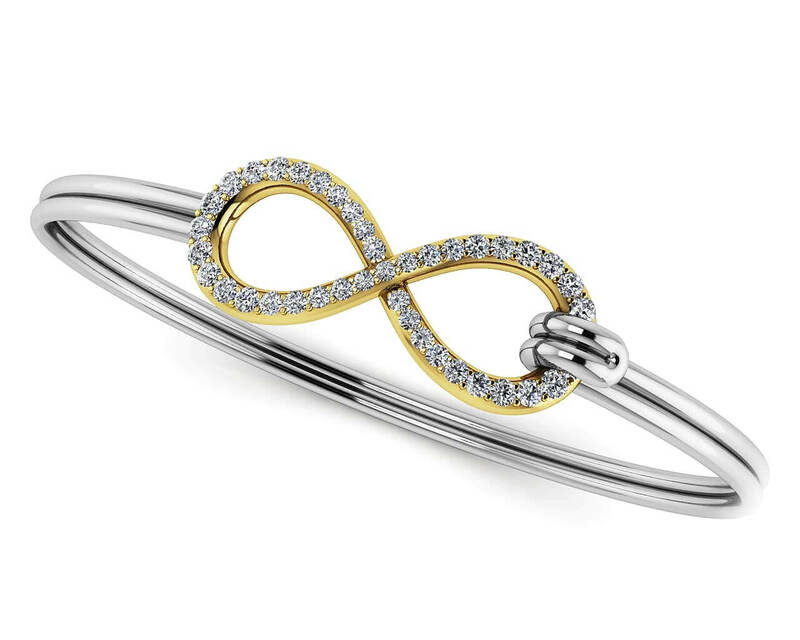 Show your love with this stunning diamond bangle bracelet from Anjolee’s Unity Collection. 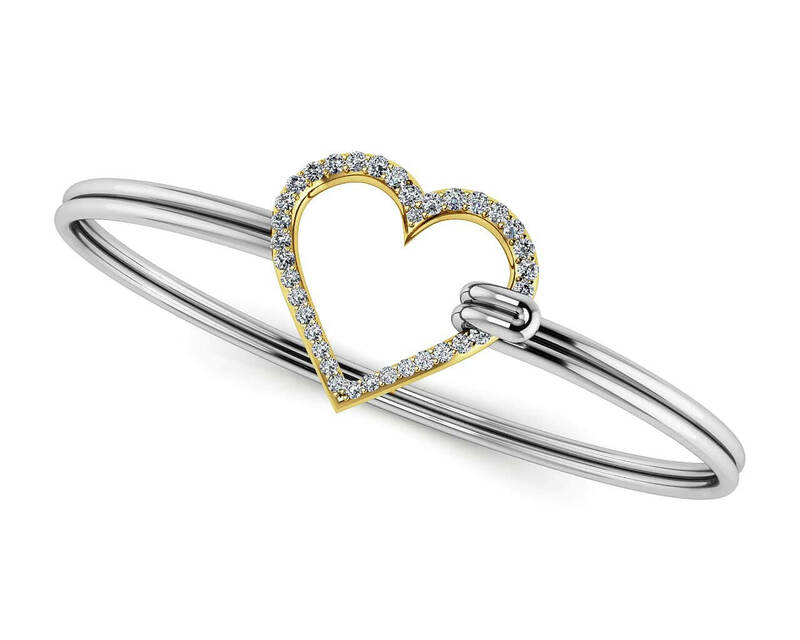 The 33 brilliant round diamonds sparkle into a perfect heart shaped center closure, allowing the flexible solid gold bangle to encircle her wrist. Inspired by love and romance, express all the love you hold in your heart with this sparkling beauty. Stone Carat Weight: 9X0.005 ct., 6X0.007 ct., 4X0.008 ct., 8X0.010 ct., 6X0.013 ct.